With thousands of acres of private land to hunt on, we will help you find the gator (and the adventure) you're looking for. 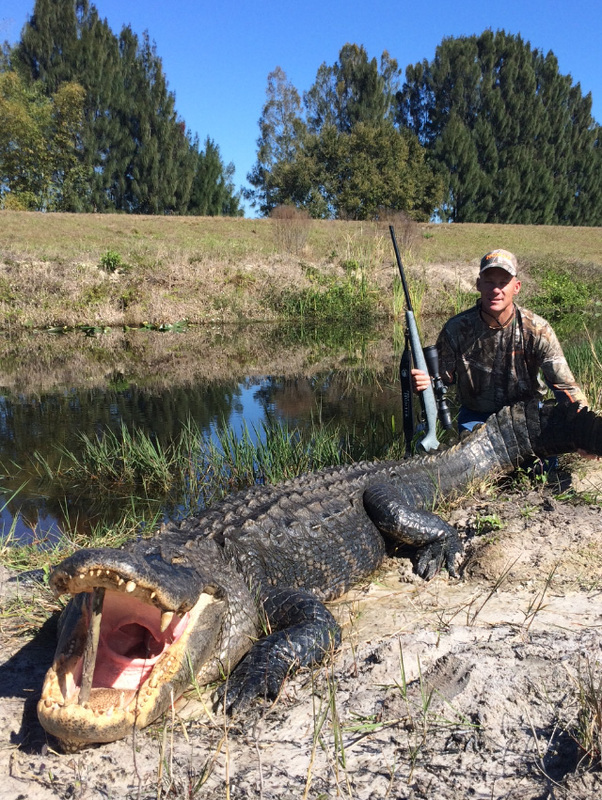 Our alligator hunts are geared for both beginner and experienced hunters alike. Free skinning and 5 lbs of meat if hunter doesn't want his meat. $15 a foot + $5 a lbs and shipping if hunter wants his own meat. I will put each hunter in contact with a local taxidermist to talk about what kind of a mount that they want.